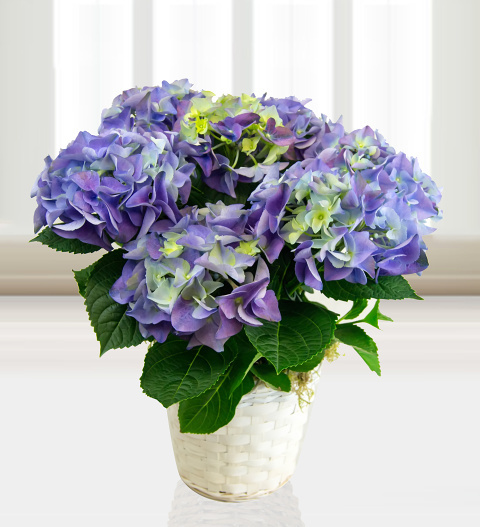 Stunning South Asian Hydrangea presented in a hand made white wicker basket. These native flowering plants are easy to look after and make a perfect gift to send for a special birthday or to say thank you to a friend. Each one is gift wrapped and comes with a free box of chocolates. Chocolates may contain nuts.